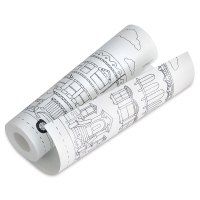 A revolutionary way to decorate (and redecorate), Tempaper is a self-adhesive, removable wallpaper that eliminates the need for paste or water — plus, you can easily remove it whenever the mood strikes! 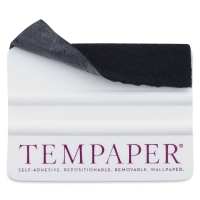 Tempaper Removable Wallpaper applies easily to any smooth, primed, or painted surface and is perfect for renters or anyone looking for a more temporary decorating solution than offered by traditional wall coverings. By You — For the artist in everyone, this Tempaper is Intentionally blank for decorating with spray paints, gouache, and latex and acrylic paints. 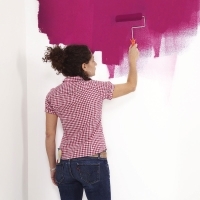 Ideal for artists who want to decorate their space in their own way — temporarily! 20-1/2" × 11 yd roll. 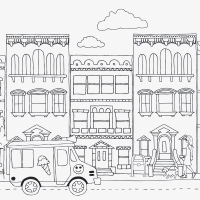 City Border — This hand-drawn city block design has a playful Sunday afternoon feel, complete with an ice cream truck and a vintage airplane. 6" × 15 ft roll. 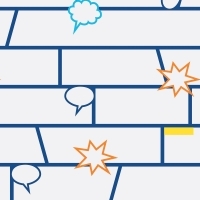 Comic Book — This retro comic strip pattern with colorful action call-outs creates a playful yet sophisticated vibe. 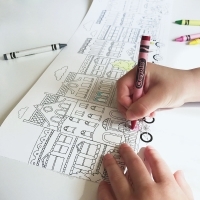 Decorate with acrylic paints, crayons, and permanent markers. 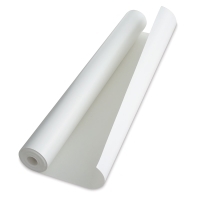 20-1/2" × 16-1/2 ft roll. 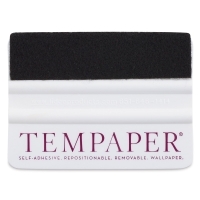 Tempaper Squeegee — This small squeegee is essential for smoothing and removing air bubbles while applying Tempaper to walls, furniture, and home décor projects. 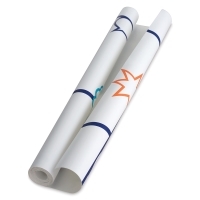 ® Tempaper is a registered trademark.